STONE CITY Expo was created from an original idea of Granulati Zandobbio S.p.A. as the largest lithological park in Europe, a permanent exhibition of products and stone materials for outdoor furnishing developed over an area of 5,000 sqm in the town of Bolgare (BG). STONE CITY is the occasion of an experiential and sensorial journey immersed in the world of Stone, to be discovered and rediscovered through mythological, historical, architectural and artistic ideas and references. There are 24 gardens, 9 thematic areas, 100 monoliths in the park, beautiful and inspiring spaces enriched by the fluidity of water, the dynamism and consistency of light, which caress and vitalize the texture of the stone, in a trip that becomes experience, knowledge, inspiration, exploration, cultural and professional enrichment. STONE CITY is the original place and way of presenting the best solutions in stone for outdoor furnishing to the experts of the sector, inserted in a real and immersive context. Always open and receptive to the innovations of the sector, Stone City offers countless ideas to enrich all kinds of open space with natural stones. Granulati Zandobbio opens the doors of the Stone City on a regular basis with Open Days for experts, who deal with the design of green areas and external spaces. 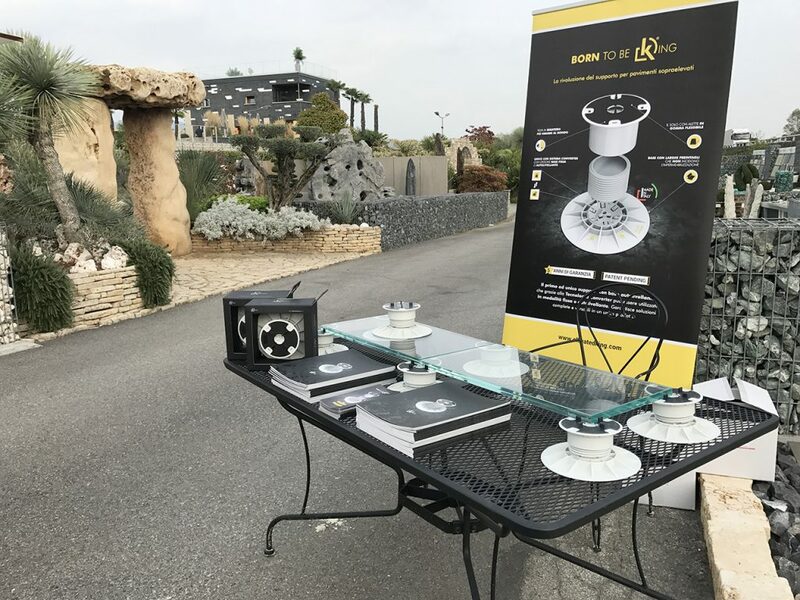 During the most recent of these events, STONE CITY hosted KING, the first pedestal for raised outdoor floors with a self-levelling base, with a 5-year guarantee and an absolutely exclusive patent. In this suggestive context, KING has proposed its very high-quality and numerous technical features to the stone floor coverings market that make it a unique product in the market of reference. In fact, KING is the only pedestal in the world with the tilting base, the only one, thanks to the Converter system, which can switch from the self-levelling mode to the fixed one, and still the only one in the world with unprecedented and exclusive details such as the flexible break-resistant rubber tabs on the head, which are indestructible even in the case of the slipping of heavy materials just like stone during laying or inspection. 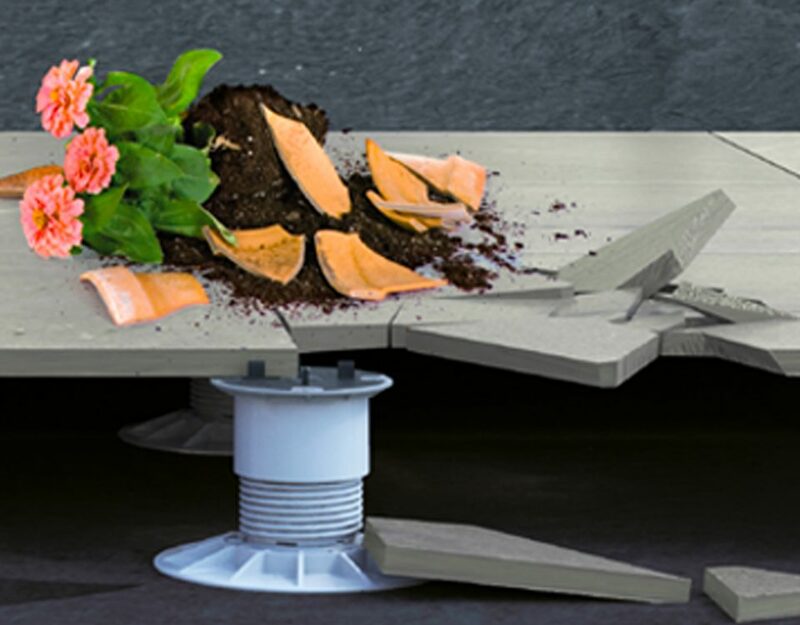 Increasing favour of experts was noted for the installation tool of the KING pedestal, which allows you to adjust the inclination of the support in total safety, without effort even on the floor which is totally laid without the need to remove the tiles. 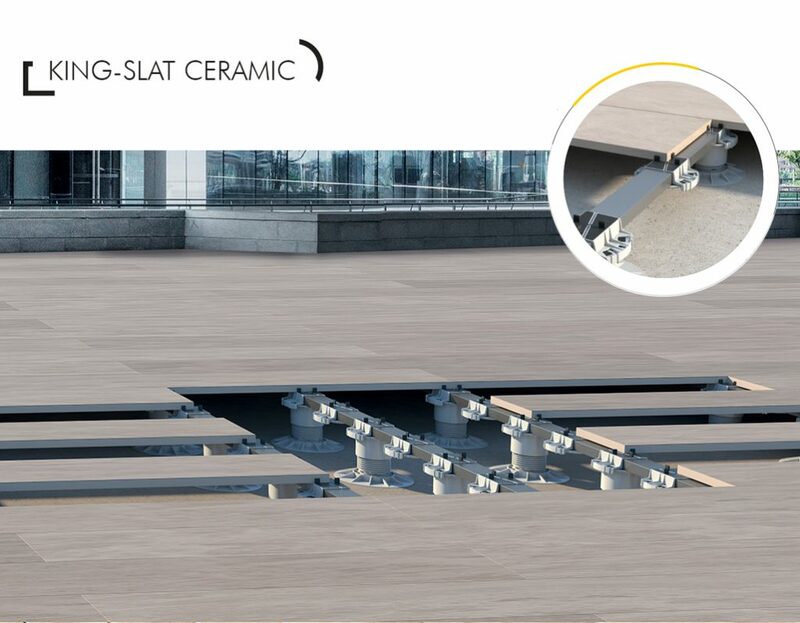 Great versatility, ease in laying operations for perfectly level floors, even in the presence of sub-bases with varying slopes: the advantages of KING to create raised stone floors delete all the difficulties commonly found by installers, offering technically effective, practical, definitive and convenient solutions. 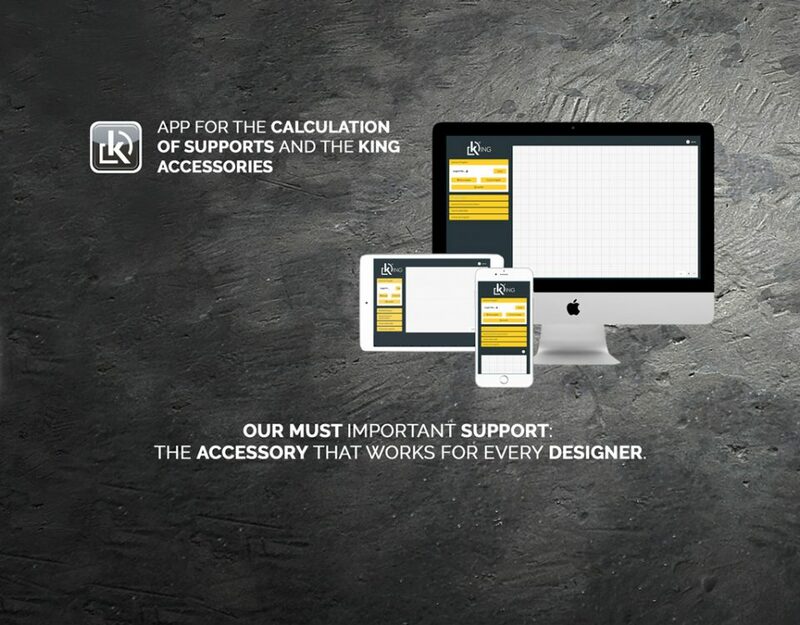 In addition, when it comes to durable floor coverings such as stone, the support could not be anything less: KING is the only support in the world to offer a 5 YEAR GUARANTEE on the product.